I just spent two days in San Francisco with 250 recruiters charged with finding thousands of people for some of the fastest growing companies in the country. As one of the speakers, I laid out my standard recruiting strategy. It was simply that getting stronger candidates in at the top of the funnel is more important than being efficient in getting them hired. Regardless of the soundness of my claim, this is not what actually happens in most cases. This is due to the underlying assumption a company makes when designing its recruiting processes – the assumption of whether there is talent surplus or talent scarcity. Maximize the number of active candidates in the top of the funnel. Focus on employer branding and optimizing the customer experience. Push this via all channels including job boards and social media to make sure all qualified active candidates find it. Then make it easy to apply on mobile. Use a laundry list of requirements to weed out the weak. Post traditional job descriptions and use high technology including assessments to screen out the unqualified. Invest in technology to rank-order applicants. Fit the person to the job qualifications and compensation ranges. For the sake of efficiency, box check skills and make sure the candidate fits the compensation range and is okay with the job title, company name and location. Get 8-15 people on the shortlist of acceptable candidates. Use the interview to minimize hiring mistakes. Assess technical skills, generic competencies, personality and team skills to determine cultural fit. Since little is known about the job, indirect assessment techniques need to be used to determine fit. These are known to only be about 65% accurate in predicting on-the-job performance and why 68% of the U.S. is disengaged. Increase efficiency and reduce costs. The cost of hiring 100 people is somewhere between $500,000 to $700,000. Doing this faster can save $100,000 and reduce the time to hire by 20-30%. By filtering on skills and negotiating on short-term rewards this process leads to the vicious cycle of dissatisfaction, underperformance and turnover. But at least it’s quick and efficient. 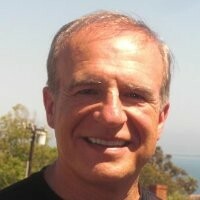 Maximize the quality of the candidates at the top of funnel. This require more time to develop each candidate but is offset by a focus on fewer candidates. Finding A-Team quality candidates requires skilled recruiters who can not only find and identify top talent but can also contact and recruit them. Attract the best by branding the job, not the company. The best people are not looking for lateral transfers. This requires that all recruitment advertising and marketing materials emphasize the actual work that needs to be done, the employee value proposition and the direct impact of the job on the company’s strategy, mission or major initiative. In this case mobile is a tactic, not a strategy. Present no more than four qualified candidates for each job. If a hiring manager needs to see more than four candidates it indicates the recruiting and selection process is flawed. This troubleshooting guide can help pinpoint the problem. Emphasize career development over compensation. Recruit and close on what the person will do and become, not the size of the compensation package on the day the person starts. Compensation growth is more sustainable when there’s a near term opportunity to take on bigger projects. Maximize quality of hire and the ROI of hiring the best. The annual compensation of 100 people is around $10 million. These people should generate around $50 million in revenue (at $500,000 per employee) and $20 million in incremental pre-tax profit (at 40%). The impact of hiring the A-Team would be an additional $4-5 million per year, every year for a modest cost increase. Use this calculator to figure out the ROI of this for your company. Given these two different paths I’m still surprised talent leaders think there is a surplus of great talent when there isn’t and why they’re more concerned with efficiency of hire rather than quality of hire. 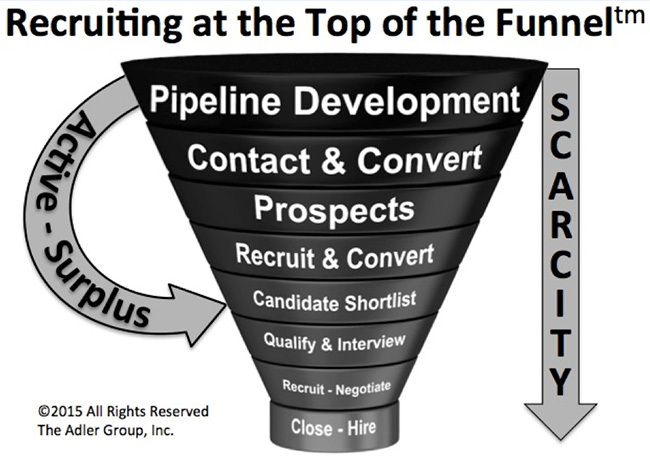 Regardless, the shift can be made by recruiting at the top the funnel.